This is Magical Kenya, the Swahili nation rich in wildlife, culture, history, people and beautiful landscapes located on the East African Coast. Kenya is one of Africa’s most popular safari destinations with a diversity of landscapes, cultures and activities. The main attractions include the Great Rift Valley which features extinct volcanoes and hot springs, and Kenya’s coastline, complete with reefs and magnificent beaches. Kenya’s rich diversity of wildlife means every safari experience in the wild is totally different from the other. From Hot air balloon safaris, to climbing Mount Kenya, to viewing the wildebeest, Kenya is a worthy place to visit. A Safari to Kenya, will take you to visit tropical forests, beautiful beaches, deserts, climb mountains and explore the wild. It is possible to plan a safari that blends adventure and relaxation, luxury and natural simplicity, social experiences and solitude. The Masai Mara Reserve is the most popular wildlife parks and also one of the most magnificent in Africa. 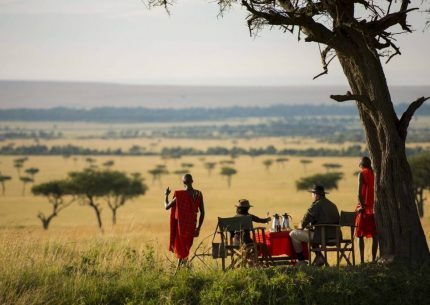 The Masai game reserve is famous for the great wildebeest migration where thousands of wildebeest, zebra, and Thomson’s gazelle travel to and from the Serengeti, from July through October. 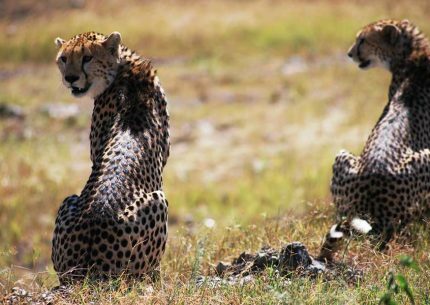 The park is also known for providing excellent predator sightings, thanks to its relatively large populations of lion, cheetah, and leopard. A UNESCO world heritage site located in the central highlands east of the great rift valley, and also Kenya’s highest mountain at 5199 meters. This is also Africa’s second highest peak after the Kilimanjaro Mountain in Tanzania. While here, you don’t need any special training to hike up to the Lenana point which is one of its highest peaks. 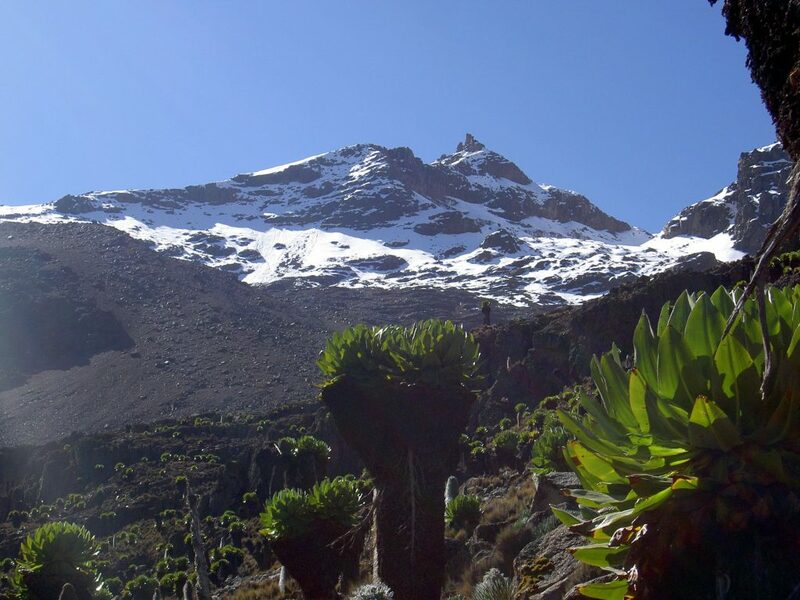 Mount Kenya has amazing scenery from the glaciers to lakes, mineral springs, alpine forest and dense pockets of bamboo. The Amboseli national park is one of Kenya’s most popular tourist destinations with sightings of the Kilimanjaro Mountains in the backdrop. 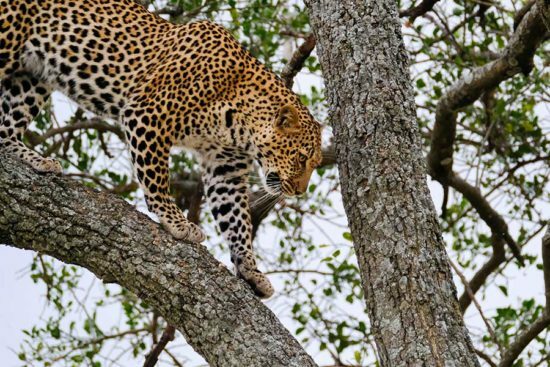 While here, you have chances to view large elephant herds and other wildlife such as giraffe, impala, eland, waterbuck, gazelle including big cats, such as lion and cheetah. Nature lovers will get to see over 600 bird species and explore the five different habitats here including Lake Amboseli, wetlands, savannah, and woodlands. Located in central Kenya, Lake Nakuru National Park is famous for its huge flocks of pink flamingos and other 450 bird species. Nakuru has got a rich diversity of other wildlife including Lions, leopards, warthogs, waterbucks, pythons, and white rhinos. The park also protects the largest euphorbia candelabrum forest in Africa which are endemic to the region and provide an interesting textural element to the arid landscapes. The Tsavo national park is the largest national park in Kenya with two sections i.e. the eastern part and western part. 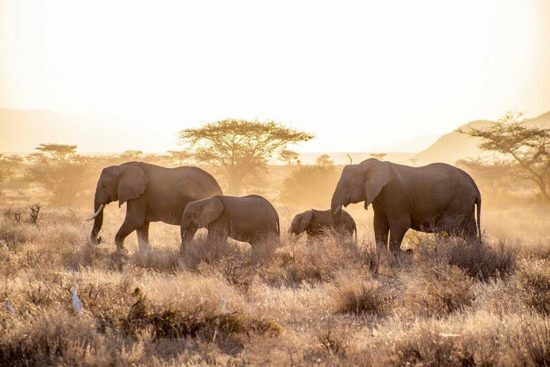 Tsavo East is situated between Nairobi and Mombasa and famous for photo-worthy sightings of large elephant herds. Also expect to see the Yatta Plateau, the world’s longest lava flow, Mudanda Rock and the Lugard falls, which spill into rapids and crocodile-filled pools. The Western part has some of the most beautiful scenery including the Mzima Springs, Chaimu Crater and the Ngulia Rhino Sanctuary. The Nairobi national park is located 15 minutes away from the capital – perfect for a day trip. 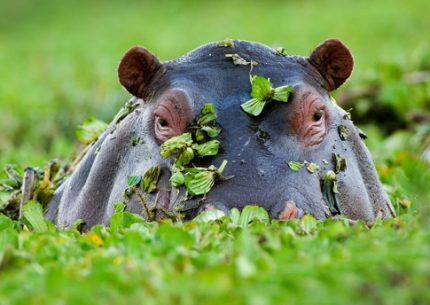 While here, you get to see a variety of wildlife including lions, giraffes, buffalo, leopards, zebras, wildebeest, hippos, elephants, and cheetah. A safari walk in the park is another opportunity to spot wildlife on foot, and birders will be happy to see more than 400 species of birds including the grey crowned crane. The park also has a Giraffe Centre, near the famous Giraffe Manor, where these long-necked beauties eat right out of your hands. Lamu is one of Kenya’s oldest towns located northeast of Mombasa, settled by the Swahili people. The island has a rich trading history which is reflected on the architectural buildings with designs from the Arab and western world. The common transport means in this town is mostly by donkeys with a few motor vehicles existing here. The people are mostly muslim men and women who dress in traditional attire. Some of the places to visit on Lamu Island include the Lamu Museum, with displays on Swahili culture and the region’s nautical history; Lamu Fort; and the Donkey Sanctuary. Another way to spend your time on this island is by basking on one of the white sand beaches or visit a local café for extraordinary Arabic coffee. Mombasa is Kenya’s largest city and one of the biggest ports in the East Africa region. Mombasa is actually an island connected to its mushrooming development on the mainland by a causeway, bridges, and ferries. The nearby Fort Jesus is a worthy place to explore with its narrow streets and ancient Swahili dwellings, markets, and souvenir shops. Towards the northern part of this town, you will find the Mombasa Go-Kart, cinemas, sports, and a cornucopia of restaurants. This being a coastal hub, beach lovers will find some worthy strands nearby. North of the city, Nyali and Bamburi Beaches are favorites, while the white strands of Shelly, Tiwi, and Diani Beaches are popular spots south of Mombasa. Kenya is one of Africa’s top tourist destinations with many national parks and wildlife reserves located in different parts of the country. Some of the famous parks include the Masai mara game reserve, Nairobi Park, Amboseli, Tsavo, Lake Nakuru and many more. While here you have chances of seeing Africa’s big five animals while include lion, leopard, elephant, buffalo and rhino. Another good opportunity to enjoy Kenya wildlife safaris is viewing the annual great wildebeest migration in the Masai mara region but it also extends to the Serengeti in Tanzania. Millions of wildebeest and zebra migrate in search of food and water during the drier months. City tours are one of the best ways to explore Kenya which include visiting historical museums, local markets and shopping malls, international and local restaurants. While on the city tours, you also get to taste the local foods and famous Kenyan delicacies like the ‘Nyama Choma’. You also get to learn and interact with the different people in different languages. Most of Kenya’s towns have a mix of cultures with a fascinating history. Climbing the Mount Kenya – Africa’s second tallest peak at 5199 meters is quite challenging. Once at the top you are assured of incredible views of Kenya and a glimpse of the Kilimanjaro Mountains in Tanzania. Another great spot for hikers in Kenya is the Hell’s Gate National Park with two extinct volcanoes that offer good climbing and hiking opportunities. The East African coast is one of the best places in the world to take it easy and enjoy a beach holiday. Kenya has a number of white sand beaches around the areas of Mombasa, Diani, Malindi or Kalifi. The Diani beach is an amazing place to be with other adventurous activities like Sky diving. At the northern end of Msambweni Bay – south East Kenya, is the Chale Island – another beautiful spot, with white sand and perfect for anyone willing to relax. In addition to these white sand stretches, the laid back attitude and friendly Kenyans along the coast add to the serenity.